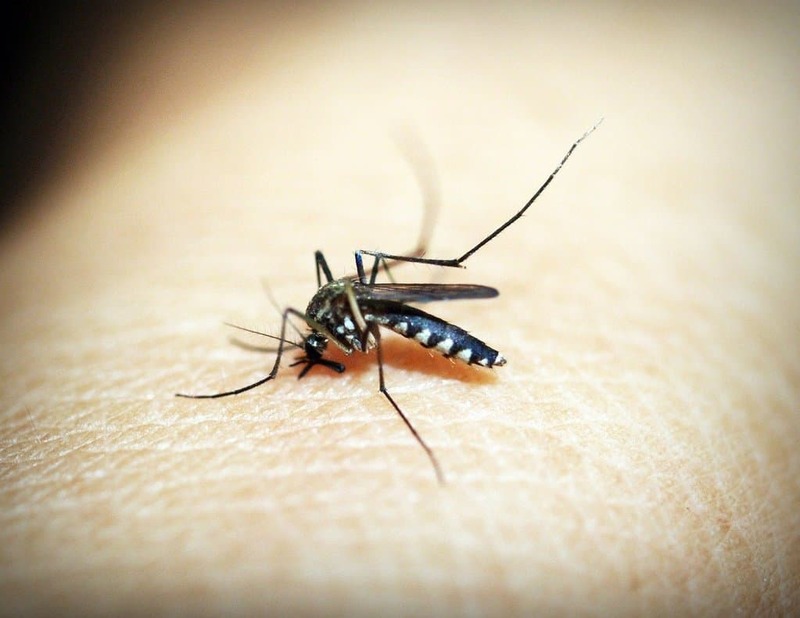 With mosquito season almost upon is in some parts of the country, it's time to start looking at ways to keep them from invading your home and turning everyone in your family into a pin cushion. Over the course of the last 25 to 30 years, research has found that these noisome little creatures can transmit a wide range of diseases to human, including malaria, dengue fever, elephantitis, chikungunya, and many other “vector borne” diseases. No matter how you look at it, mosquitoes and their bites have become a major nuisance to the rest of us. While you could turn to a professional pest control service, there are two very good reasons why this may not be your best choice. First, hiring a pest control service tends to be a relatively expensive process. This is especially true when you consider the will probably have to come back at least once a month during the season. The second and perhaps best reason, at least in my opinion, is that the vast majority of pest control services in the country use a wealth of toxic chemicals and products around your home as well as inside. The majority of these products have been found to cause a number of serious illnesses in humans and most family pets. Do you really want your kids and the family dog exposed to these types of chemicals? Before we look at natural mosquito control methods, let's take a look at your yard. 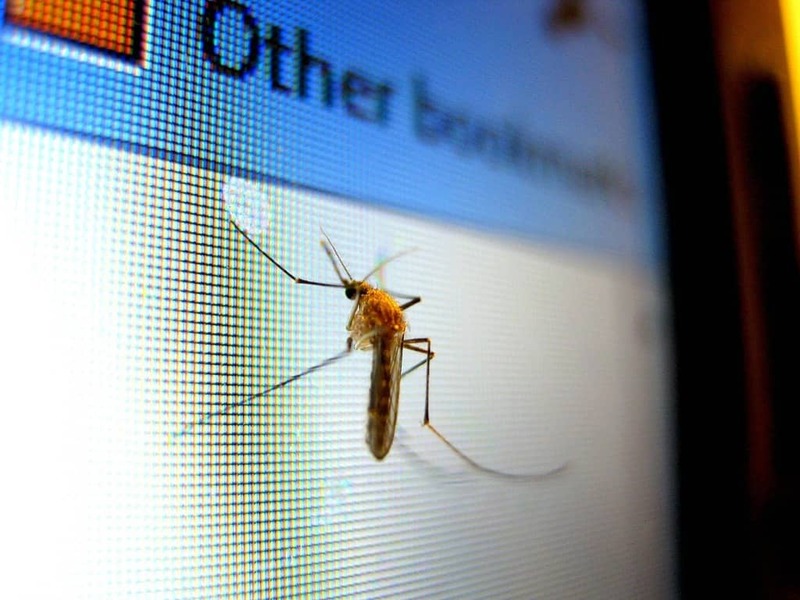 Is it a breeding ground for your own mosquito farm? Do you have standing water like a pond or junk laying around that tends to collect water? Take a walk around after a good rainstorm and look for anywhere that has standing water in it. This is the perfect breeding ground for millions of mosquitoes that can plague you all summer long. While you can't eliminate your fish pond, you can certainly clean up anything else like those old snow tires or that 55-gallon drum you planned to turn into a barbecue but never seemed to have enough time make. In fact, mosquitoes do not need much room so even a water filled soda can be big enough. The more you can eliminate, the less mosquitoes you have to deal with. As for keeping mosquitoes out of your home, your doors and windows are your first line of defense. If you have windows without screens, this is just like inviting the bugs to come in for dinner. The same applies to gaps between outside doors and frames. Install screens in all of your windows and repair, replace or seal the doors. If the little buggers can't get in, they can't invite themselves to use you and your family as dinner. Once you have done everything you can to keep the mosquitoes out of your home, the next step is to keep them away from your home and to get rid of those that do make it inside. Bear in mind that no matter what you do, you will never completely eliminate mosquitoes, but the more steps you take, the less at risk you will leave your family and the more you can enjoy being outside all summer long. If you are going to take control of the mosquitoes in your yard, one of the best ways to get started is by making them feel unwelcome in it. But, the last thing you want to do, is buy one of those highly toxic yard sprays. Sure, they kill and deter mosquitoes, but they are also highly poisonous to your entire family and your family pets. A far better choice would be to mix up a batch of perfectly harmless natural mosquito repellent to spray your yard with. 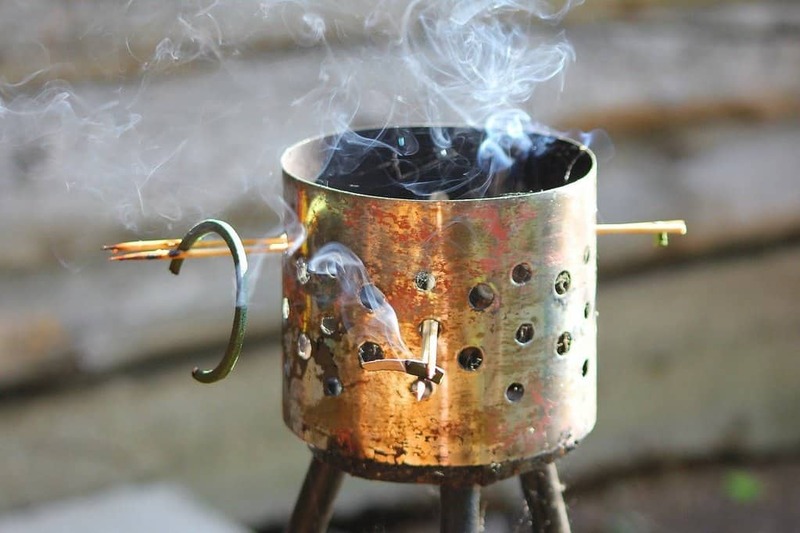 Bear in mind, mosquitoes do not like the smell of several plants such as tomatoes, garlic, onions, citronella, geraniums, catnip, catmint, mint, clove, lavender, spearmint, and lemon grass. Planting a number of these flowers, fruits, and vegetables around your home will make a big difference. But then we were talking about a yard spray, weren't we? 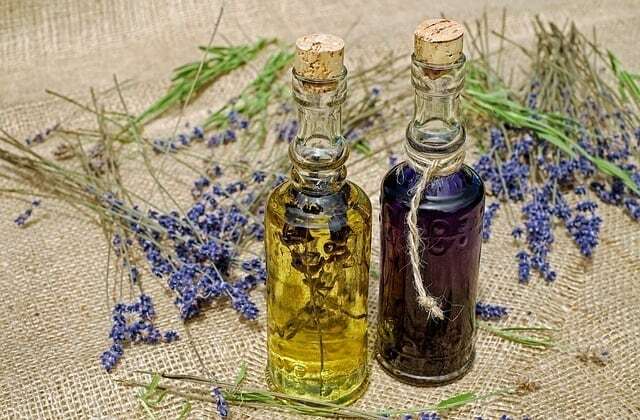 Here are two different natural sprays you can mix up in the kitchen and use to control mosquitoes for several hours at a time. Perfect for evening barbecues and parties. This one has been handed down from generation to generation. Place peeled and quartered garlic bulbs in a blender and fill 1/2 to 2/3 with water. Blend for one minute, strain out the garlic and put it aside. Pour the blended mixture into a gallon jug and fill with water. Mix 1/4 cups of this blend with a gallon of water, shake well, place in a garden sprayer and apply to the areas of your yard where you need to control the mosquitoes. This blend is safe for kids, pets, and plants and will keep the mosquitoes under control for up to 6 hours. Chop the onion into a small dice, place in a bucket or old container with a lid, add one gallon of water, stir, and cover. Leave sitting out in the sun for 3 to 5 days. Pour the ripened mixture into a sprayer and apply to those areas of your yard where you have a mosquito problem. Both of these mixtures are perfectly safe and eco-friendly, making it a great natural solution for getting rid of the mosquitoes in your yard. Spraying your yard with a natural repellent is a good start, but did you know there are several plants you can add around your yard that will also help. 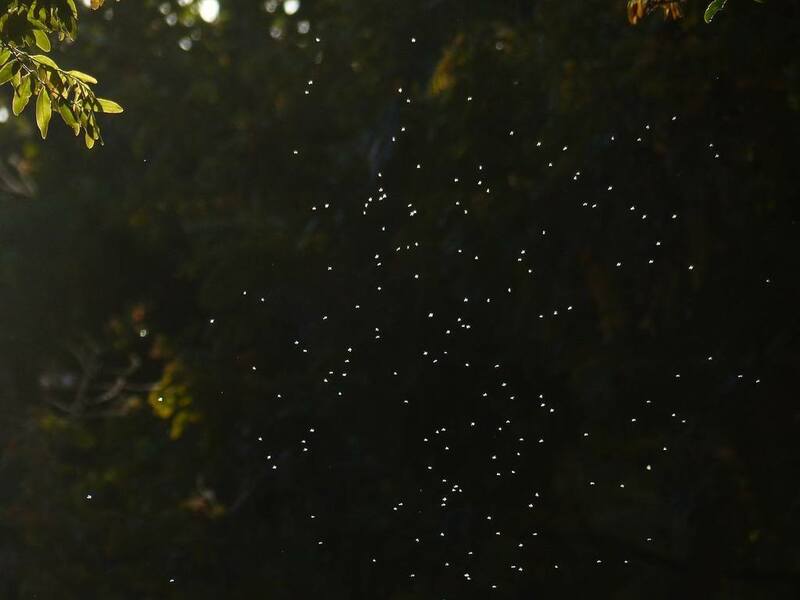 Many people are under the mistaken impression that trees and shrubs provide a perfect breeding ground for mosquitoes, but this is not the case. Plants such as Citronella grass, marigolds, mint, lemon trees, and neem have all been proven to be very effective in controlling the presence of mosquitoes in your yard. Most people find the scent of mint to be relaxing, yet according to the Journal of Bioresource Technology, both mint oil and mint extract are very effective mosquito repellents. The plants themselves can help keep them at bay outside of your home. You can add mint extract to your diffuser or use it the create a spray you can use to spritz around your home. You can even keep mint growing in various rooms in your home. Not only will this keep the pesky little buggers at bay, but it will make your whole house smell amazing. Lavender adds a wonder aroma to your yard or home. It is easy to grow, can be planted in the ground or in pots. While humans might love the smell, it will drive even the strongest mosquitoes to look for better pastures. You can also use lavender essential oil in a diffuser inside your home and make spritzers that you can apply to your skin. Tea tree oil is an amazing natural remedy. It has both antifungal and antibacterial properties. The aroma is refreshing and re-energizing, and at the same time kills mosquitoes. They won't come near an area where the plants are growing, or you can add a few drops of essential tea tree oil to your vaporizer or diffuser to kill of any mosquitoes in your home. You can also rub the oil directly on your skin to keep them from biting. Camphor is easy to find in most hardware and department stores. Camphor is an extract of a tree and is very easy to use. You simply choose a room in your home, make sure all the windows and doors in your home are closed, light the camphor, and leave. Let it burn for 15 to 20 minutes. When you go back inside, you should have a nice mosquito-free home. You may have to ventilate to get rid of the odor or you can just let it fade away on its own. The odor is harmless to everyone except the mosquitoes. The Tulsi shrub comes from India and has been found to be highly effective at keeping mosquitoes at bay. All you need to do is plant a shrub under each window and let it grow. 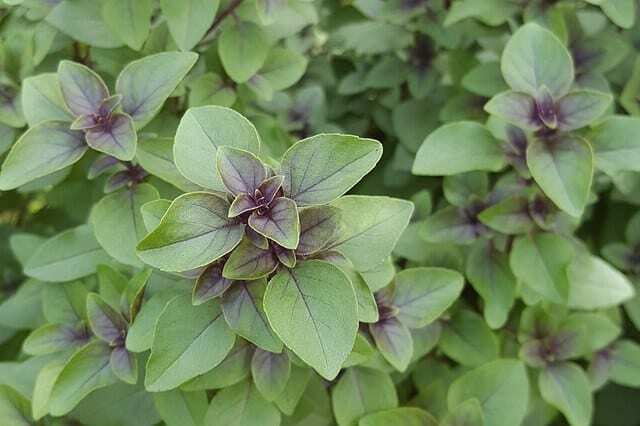 In India, the plant is known as “Holy Basil” and it is used in a wide range of Indian dishes. You can also apply it directly to your skin to soothe mosquito bites. To make the traps, simply cut the bottle in half, mix brown sugar in hot water and then pour into the bottom half of the bottle once it has cooled off. Add yeast to the mixture, then turn the top of the bottle over forming a funnel. Place the funnel in the bottom half and tape the two pieces together. Place in areas where mosquitoes seem to gather around your home. Remember to change the liquid weekly. No one likes mosquitoes with the exception of the fish in your pond. The chemical mosquito repellent and killer market is a multi-billion-dollar industry that is producing new products that often don't work and are more toxic than ever. If you really want to protect your family from the many diseases carried by mosquitoes and the side effects of the latest range of bug sprays on the market, then try using one or more of the natural mosquito treatments above. I hope the information I have gathered together for you helps. If there is anything you would like to see here, please contact me here.